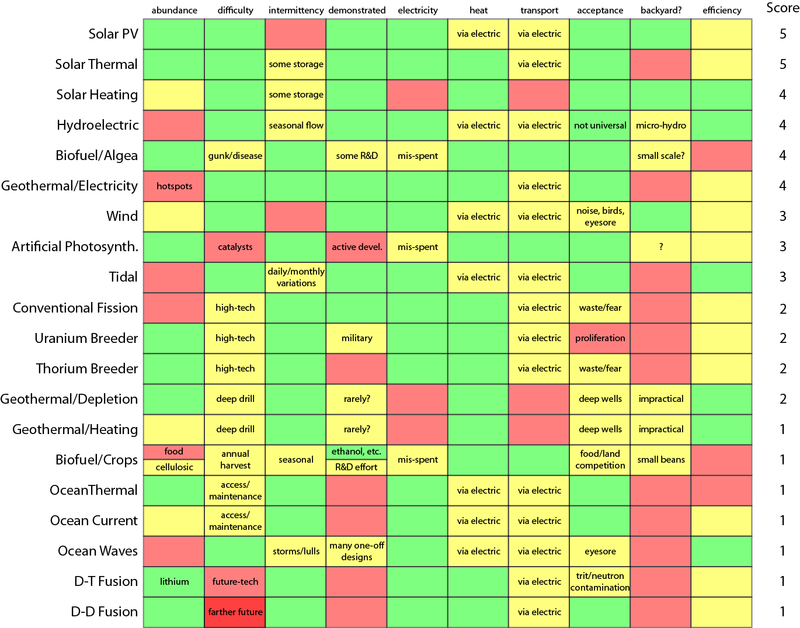 If you want to compare the pros and cons of existing energy sources, take at look at this comparison. Click on the image to get a closer look. Did you know we can power Japan from sunlight captured in Australia? How about an intelligent power grid? Scientists are constantly researching ways to improve renewable energy technology and solve problems encountered along the way. In this video, see how scientists are overcoming challenges of renewable energy and, at the same time, uncovering new opportunities for the future.